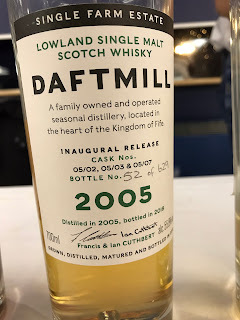 Last year I tried a whisky called Daftmill, made by the Cuthbert brothers on their farm distillery in Fyfe, released by way of Berry Bros & Rudd. The place is small, as it only produces about 20,000LPA but the amazing thing was that the distillery was completely self-sufficient in terms of using their own barley and the funds used to build the distillery coming solely from themselves. This meant they could wait as long as they wanted to release the whisky. And wait they did. Where most distilleries would have released a three year old or even started selling bottles before they had a distillery(! ), Daftmill wasn’t first release until early 2018. And for that, they are to be commended. Enter me, giving their 2006 Summer Release a fairly average review, courtesy of a plastic-y off note that I couldn’t quite get past. This seemed to be just me though, as loads of others gave it very good scores and reviews. 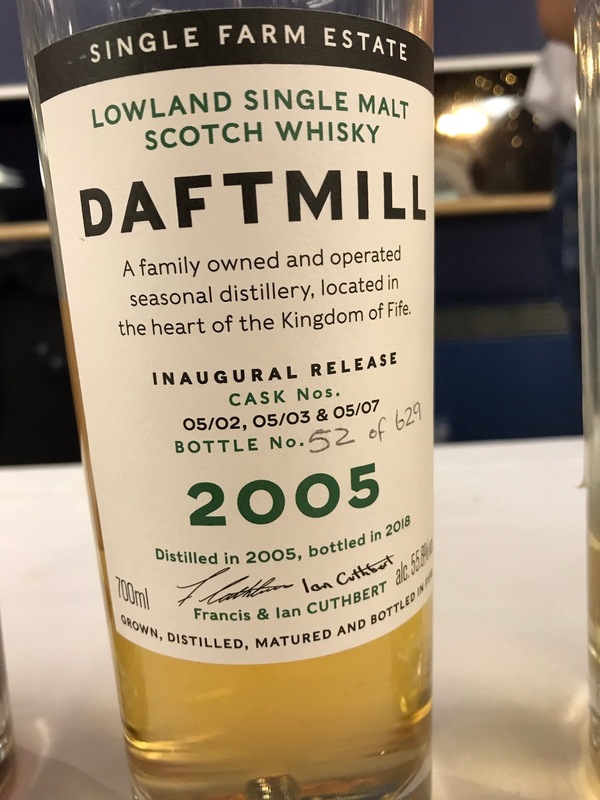 The whisky sold out pretty quick and a bunch of it appeared at auction and sold for a hell of a lot more. THEN, a truly interesting thing happened. Francis Cuthbert actually approached me at a festival in Glasgow and asked me about my review. I was dumbstruck for a moment, then embarrassed. I don’t have a big whisky blog or following I wouldn’t say. I didn’t realise anyone would take notice or even care. But Francis did. He told me that he didn’t understand why I got a plastic note to his whisky because he took great care to make sure that the distillations came out clean and fruity. I didn’t really know how to react to be perfectly honest. Do I defend my review, my palate to the man? When confronted with the person that made the whisky, I felt a little ashamed that I had reviewed it at all. Anyway, like a gent, he invited me to taste one of the others that he had on the stand that day and the new make spirit. Funnily, the new make was very clean to smell. Fruity, a little spice with none of that plastic I got from the 2006 Summer. Anyway, I also was able to taste the initial release that was pretty hyped among those that tried it. Nose: Sugared almonds and cinnamon, plastic sheets (in a good way), model glue (again, not an off note), almond croissants and fruitcake, better as it opens up with very soft praline chocolates. Taste: Sharp lovely citrus, great arrival, lemon juice, grapefruit juice, creamy vanilla and some interesting plastic. Develops some spice and oak with gingerbread and cinnamon tea. Finish: Medium length. A little more plastic here with green tea, green apple and praline chocolates.